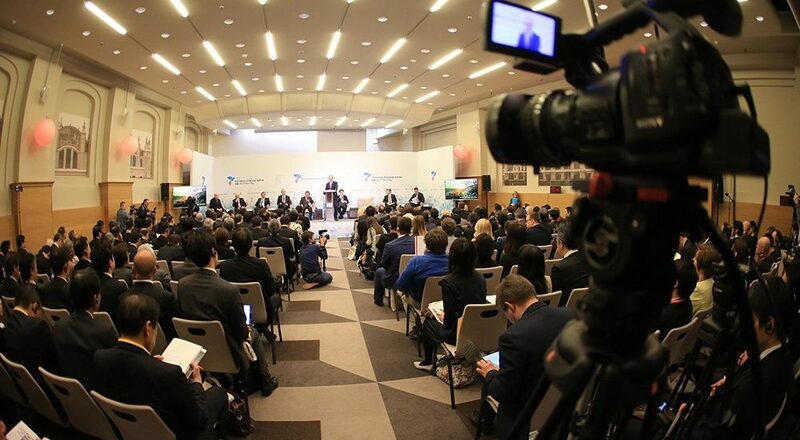 The IV Russian-Japanese forum was held in Moscow – Company group "Taishi"
The IV Russian-Japanese forum was held in Moscow, organized by the “Rossiyskaya gazeta” and Japanese “Mainichi”. More than 200 politicians and businessmen took part in the forum alongside Toshihiro Nikai, secretary general of the ruling Japanese Liberal Democratic Party (LDPJ), . During the plenary session “Russia-Japan: common grounds” prospects and difficulties for bilateral relations were discussed. The meeting was attended by Toshihiro Nikai, general editor of “Rossiyskaya gazeta” Pavel Negoitsa, deputy foreign minister of Russia Igor Morgulov, president of Mainichi Newspaper Masahiro Maruyama, head of the Japan-Russia Committee for Economic Cooperation, Mr. Teruo Asada, Japanese ambassador to Russia Toyohisa Kodzuki. During the forum round tables dedicated to future of energy sector, tourism in the Far East, training of personnel, urban environment development were held. The forum was held within the framework of the Cross Years of Russia and Japan, which opens on May 26.